Stone Age people invented the first knives...and also the first spoons. In the Middle Ages the first books of manners told readers to wipe their greasy fingers on the tablecloth. And in 1669 King Louis XIV ordered that table knives should have rounded ends because there'd been too many stabbings. 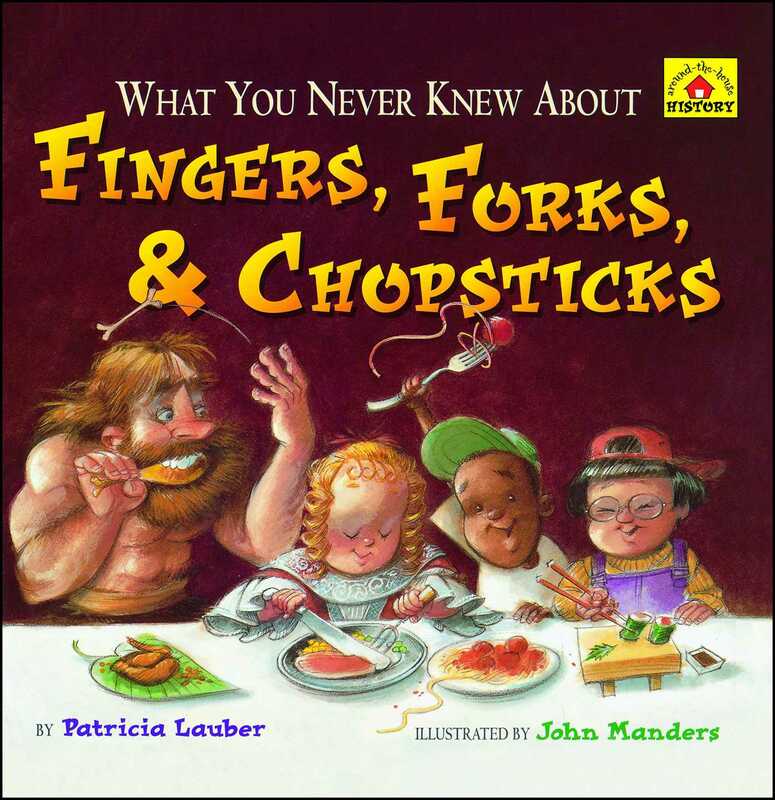 In What You Never Knew About Fingers, Forks, &amp; Chopsticks, Patricia Lauber and John Manders serve up a hilarious and informative look at how ways of eating and manners have changed through the ages. This well-researched tour of social history makes the subject of how we eat more fascinating and fun than you ever imagined it could be. Patricia Lauber is the author of the Around-the-House series and more than 125 other books for young people. Her Volcano: The Eruption and Healing of St. Helens was a Newbery Honor Book. She lives with her husband and two cats, Beemer and MeToo, in New Canaan, Connecticut. John Manders uses an old master's technique of layering colored glazes over a monochromatic underpainting and does extensive research for many of his projects. He and his wife, Lisa, live with two dogs and a parrot in Pittsburgh, Pennsylvania.